In 2016, Cal women’s gymnastics made the second appearance in program history at the NCAA Championships. It finished in seventh place at the NCAA Championships and outscored Utah for the first time ever. The Bears took second at regionals and beat powerhouse UCLA. Husband-and-wife coaches Justin Howell and Elizabeth Crandall-Howell were named national coaches of the year. On top of all that, junior Toni-Ann Williams represented Cal and the nation of Jamaica at the Rio Olympics. With all those accolades, it is safe to say that expectations for 2017 were high. Given those high expectations, the 2017 season was disappointing on paper. 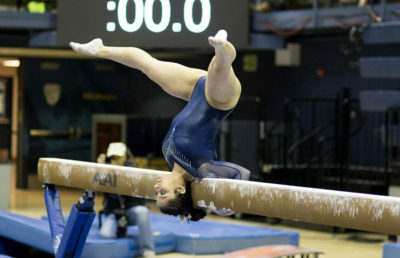 A fifth-place finish at regionals did not afford the Bears a return trip to the NCAA Championships. They dropped what should have been an easy victory at Arizona — in fact, they won just a single meet on the road. The win-loss, however, does not tell the whole story. Cal was plagued with injuries throughout the season, the most notable of which was to Williams, who missed almost the entirety of the year with an Achilles’ tendon tear. Freshmen duo Cassidy Keelen and Alexandra Dudschus was also out for the majority of the season with a knee injury and a back injury, respectively. 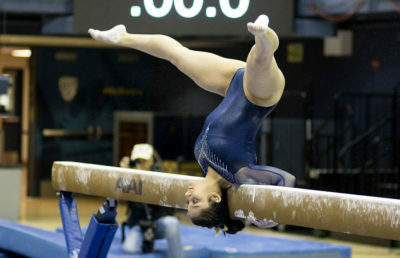 Senior Jessica Howe did not see the lineup until the last regular-season meet of the year, having battled back problems. Sophomore Sylvie Seilnacht and senior Dana Ho were both sidelined mid-season. The Bears simply could not catch a break. “If (only) everybody in the seats and the judges had only known the challenges that we’ve faced over the last few weeks,” Howell said, following the Bears’ regular-season finale loss against Oklahoma. So, upon closer examination, the results of the crippled Cal lineup were nothing to scoff at. 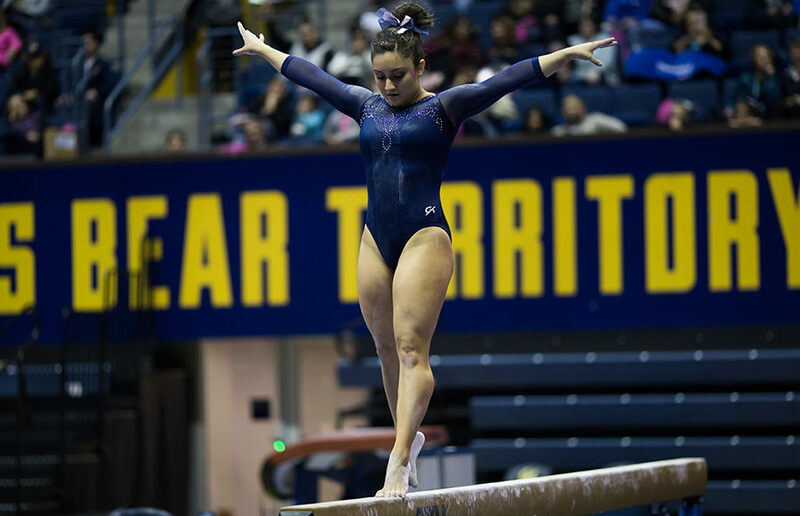 An upset win against Oregon State highlighted the regular season, and come postseason, the team was ranked high enough to automatically qualify for regionals. Preseason rankings had the Bears at No. 10, and they finished the season at No. 16. They fell six spots throughout the season, and they had a hell of a lot more than six injuries. Cal can attribute the maintenance of that ranking to a few clutch performances. Against UCLA, junior Yuleen Sternberg competed on floor for the first time in her collegiate career and earned a 9.825 in front of a packed house of more than 10,000 fans. Sophomore Sofie Seilnacht also found herself in the floor lineup for the first time in place of her injured sister in the Oklahoma meet. Seniors Desiree Palomares and Emily Richardson and junior Arianna Robinson were models of consistency throughout the season, providing stability to the struggling lineup. 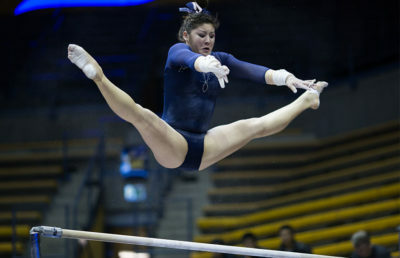 Cal became the little gymnastics team that could (relatively speaking), managing to remain nationally relevant all season despite setback after setback. Like the best of sports teams, it had the grit and determination to grind out wins just when you were about to count it out. And maybe, just maybe, it liked it that way.